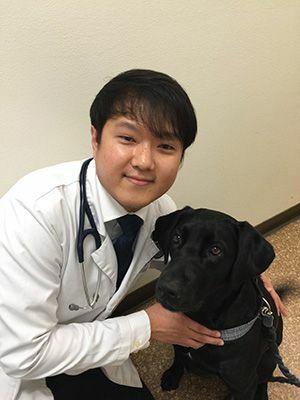 Dr. Sandra Kim has been practicing veterinary medicine since June 1999 and is the medical director of Lomita Pet Hospital. She graduated from the University of Minnesota, College of Veterinary Medicine. 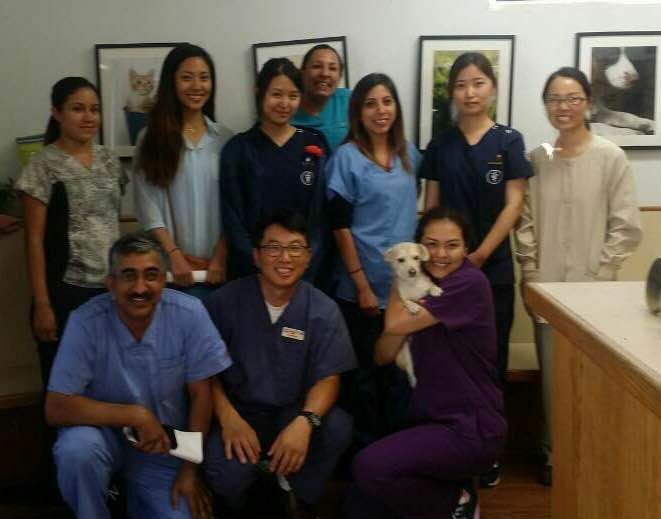 After graduation, she completed a one year rotating internship at Animal Specialty Group in Los Angeles, California. 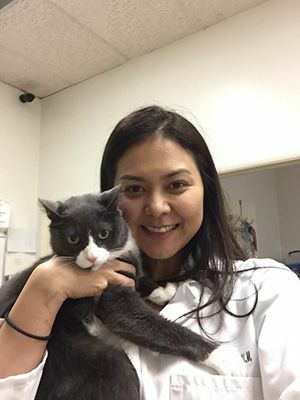 During her internship she was able to work with veterinary specialists in the fields of internal medicine, surgery, oncology, neurology and ophthalmology. She studied Traditional Chinese Veterinary Medicine at the Chi Institute in Reddick, Florida. It was through the Institute that she received her certification as a veterinary acupuncturist and veterinary food therapist. In April of 2013, she was fortunate to have been invited to visit the Humane Center for Animal Welfare in Amman, Jordan, where she took part in a training veterinarians and veterinary students. 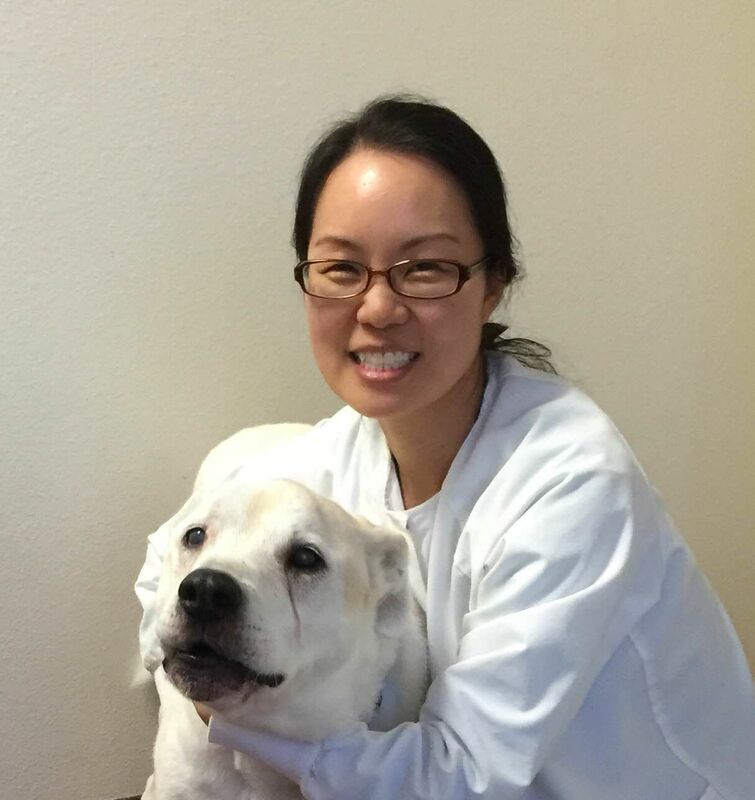 Because of her training in both western and eastern medicine, she feels that she can provide her clients and their pets even better care. Dr. Piyalak Intongkum ("Dr. Pear") was born and raised in Bangkok, Thailand. Her love for animals started very early in her life as her home was no stranger to an array of cats and dogs. When she was ten years old, her puppy became infected with the Parvo virus and died suddenly. As this was the first loss she had ever experienced and with little ability to assist her ailing pet, she told herself that she would one day grow up to be a veterinarian and aid animals.